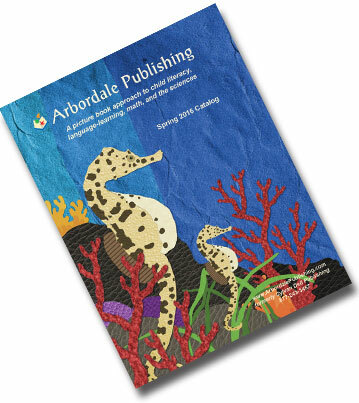 Arbordale has a small staff dedicated to producing the best in children’s books. We hope you have a wonderful experience with our products. Here are online resources to help with ordering and product questions. However, if your question is not answered on these pages please contact us. We love to hear from our customers. Arbordale has many options for ordering. Place your order through the online store. Find the hardcover and paperback options on one page and click eBooks to purchase digital titles. The catalog includes our Spanish titles in print as well as our hardcover and paperback books. If you prefer to use the order form, this can be emailed, faxed (843-216-3804) or call us (843 971-6722) and we are happy to assist you with placing an order over the phone. We also support independent bookstores find one in your area here. I am an educator; do you offer professional discounts to schools or educational organizations? Yes, we offer discounts to educators, librarians and educational organizations, including homeschool organizations. Please contact our education programs for more information about the Arbordale discount structure. I would like an author or illustrator to come visit my classroom? How do I arrange a visit? Our publicity department can connect you with an author in your area or an author of a specific book. Send us an email or call (843) 971-6722 to arrange a visit. I am the manager of a bookstore; do you have a sales representative in my area, or do you sell through distributors? We have sales representatives all across the country click here for a listing to find someone in your area. We also sell through the major distributors such as Ingram and Baker & Taylor. Our online store has an eBook page where you can purchase all of our current titles. Click here to shop. I have created an account and paid for my eBooks in the online store how do I find my books? On a computer once you have completed the checkout in the online store go back to the Arbordale home page and click eBook Access to login to your account and view your books for the first time. We also have the option of creating a desktop icon for PC users. Find this on the My Account page after you have logged in. To view purchases within the iPad or Google Play app sign into your account using the same email and password or six digit code. Once you have purchased books, click on the eBook button and the purchased books will no longer show a preview banner, these are viewable with a Wi-Fi connection. To download books go to the My Account page and click Manage eBooks to download your purchased books. I am a teacher, and my school had a site license that is now expired, can I reactivate this site license? Yes, our education programs department would be happy to assist your school in renewing your site license. Please email or call us at(843) 971-6722 to receive a customized plan that fits best with the needs of your school or district. If you have any additional questions please contact us at (843) 971-6722, toll-free (877) 243-3457, or email us.